Birmingham Conservatoire and Birmingham School of Acting are to merge, in a move designed to produce a single world-class home for developing the next generation of talented, versatile performers. The merger will see both the music and acting arms of Birmingham City University unite as Birmingham Conservatoire. It brings together acting and musical talent to give students the skills they need to meet the demands of today’s fast-paced creative economy. The official announcement of the merger was made on Wednesday 1 March at a celebration event in Birmingham Town Hall, where students from both current institutions will come together to enjoy musical and dramatic performances. 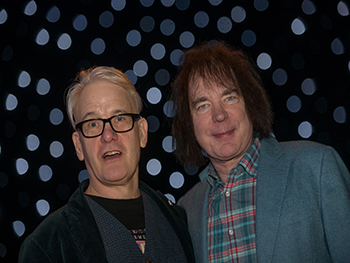 Students at the event also enjoyed an inaugural speech by Principal of the new Birmingham Conservatoire, Professor Julian Lloyd Webber, alongside Professor Stephen Simms, Vice Principal – Acting. The integration of these two institutions coincides with the opening of a new £57 million home for the current Birmingham Conservatoire on the University’s City Centre Campus later this year. It will sit just metres away from the current School of Acting and Birmingham City University’s wealth of media and recording facilities, including four TV studios and Europe’s largest static green screen. The new Conservatoire will feature five public performance spaces, including a new concert hall for orchestral training and performance, private rehearsal and practice rooms, and teaching spaces for performers from a variety of disciplines. We will continue to produce brilliant specialists in both acting and music but this merger emphasises the growing need for fluidity between disciplines – musicians able to draw on performance skills or promote their work across digital channels, or actors and set designers delivering performances where music and musicality are essential to the artistic results. 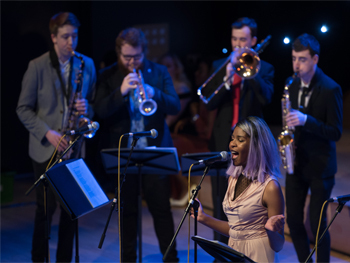 Birmingham Conservatoire traces it roots back to 1859 and is one of the most respected music education institutions in the UK, devoted to the training of highly talented musicians in performance and composition. Famous alumni include soul singer-songwriter Laura Mvula, baritone Rhydian Roberts and conductor Michael Seal. Our students are always at the heart of everything we do and this merger will give our graduates the best opportunities for future success in an increasingly competitive world. Birmingham School of Acting has been a City Centre institution since 1936 and now comprises 11 studios – including a large performance studio – setting a new benchmark for drama training facilities in the UK. Helen George, Catherine Tyldesley and Nicol Williamson are just some of the household names to have graduated from the School. Collaboration between our two institutions is already happening – for example, Conservatoire musicians compose and perform original music for graduate productions – but the merger will fuel many more exciting partnerships and unique opportunities for all our students. The two institutions will formally merge in September 2017.